This is a perl script that is used to create the man,usr file needed for IDE64 plugin configuration. Nice article on how to handle D64 disk images directly on an IDE64. 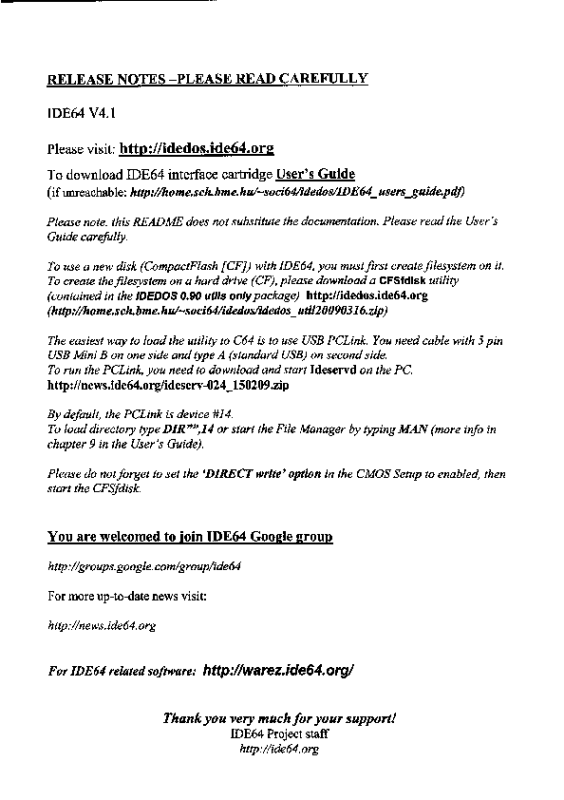 This manual ofr the IDE64 HardDrive/CDROM Controller was created on 2001.Feb.12. with IDEDOS v0.89 in mind and updated on 2002.Oct.11. 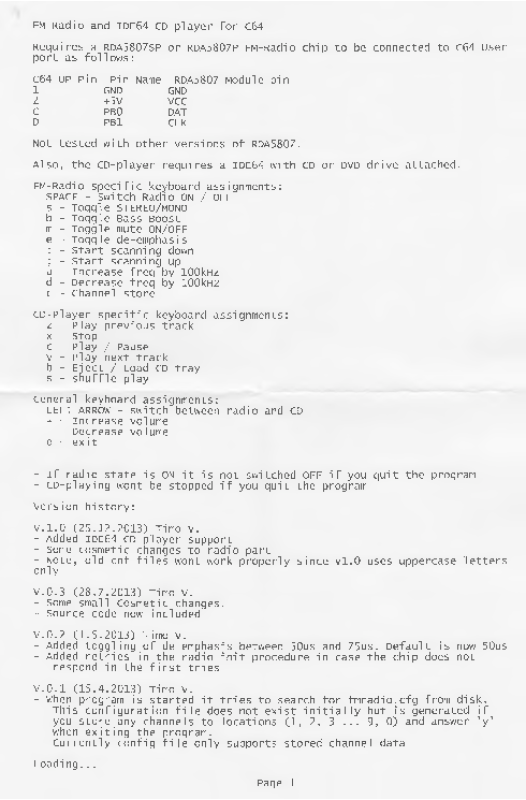 The IDE64 cartridge is a device for connecting IDE harddisks and ATAPI CDROM drives to a C64. It's plugged into the Expansion Port and connected to ATA(PI) devices by a 40 wire cable. 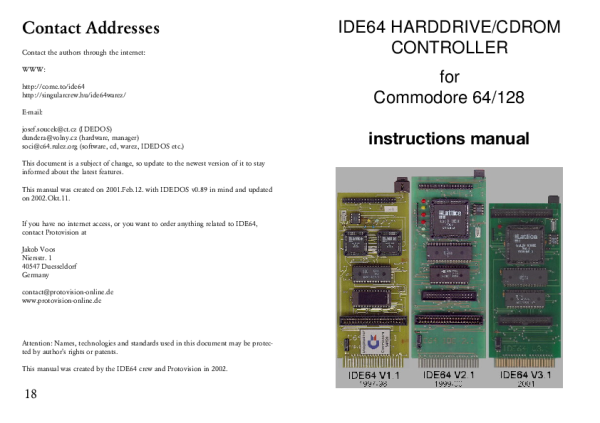 The IDE64 cartridge contains a 64kB PEROM (flash EPROM, with IDEDOS, Machine Code Monitor, File Manager and Setup), a 28kB RAM (used for internal buffers), a realtime clock chip (powered by a battery), two LEDs (to indicate the presence of the cartrige and HDD activity), a Short-BUS for peripherals (like DUART Card) and an ispLSI chip.